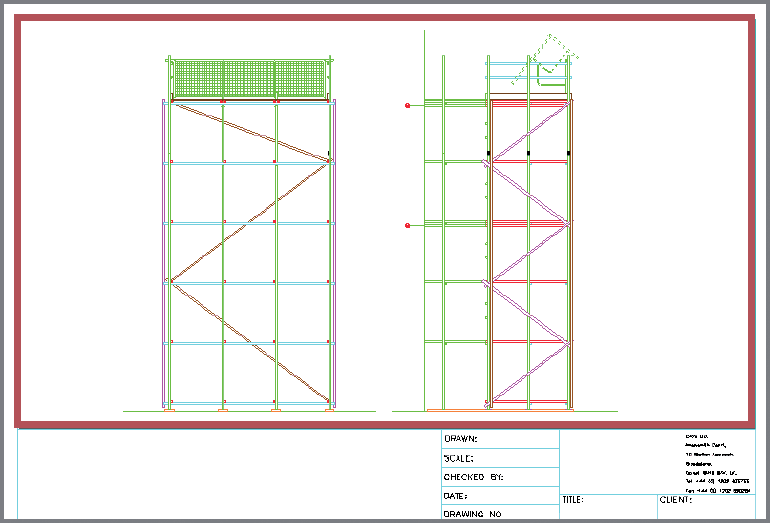 SMART Scaffolder Draw IT makes it easy to draw professional scaffold engineering drawings using AutoCAD. 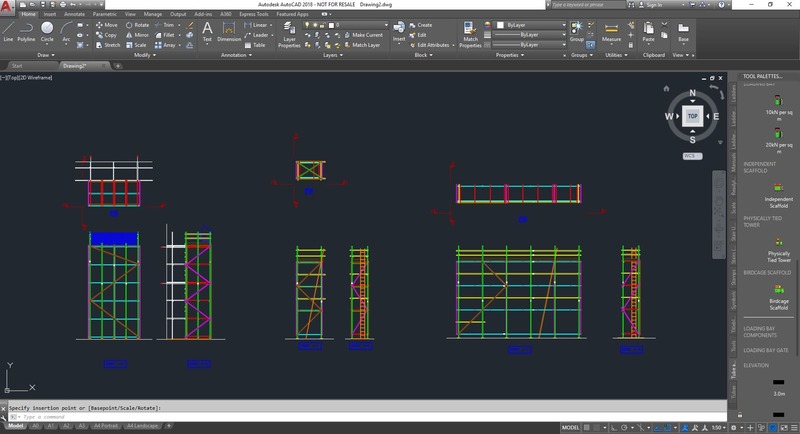 With SMART Scaffolder Draw IT you can simply drag and drop scaffold components onto your AutoCAD drawing, to produce drawings that conform to industry standards. Start a drawing from scratch or import existing building plans and elevations to create your drawings. Customise your drawings with your company logo and job details and output to a wide range of file formats and printed outputs. If you already have AutoCAD or are just thinking about purchasing it, SMART Scaffolder Draw IT will be your essential drawing partner. SMART Scaffolder Draw IT creates a custom environment within AutoCAD for the easy creation of scaffolding drawings. Selecting objects, zooming and panning are all easily achieved with the simple click of a mouse. Draw IT comes with block libraries for Tube and Fitting, Cuplok, Formscaff Kwikstage, Kwikstage, HAKI, Layher Allround and Frame. 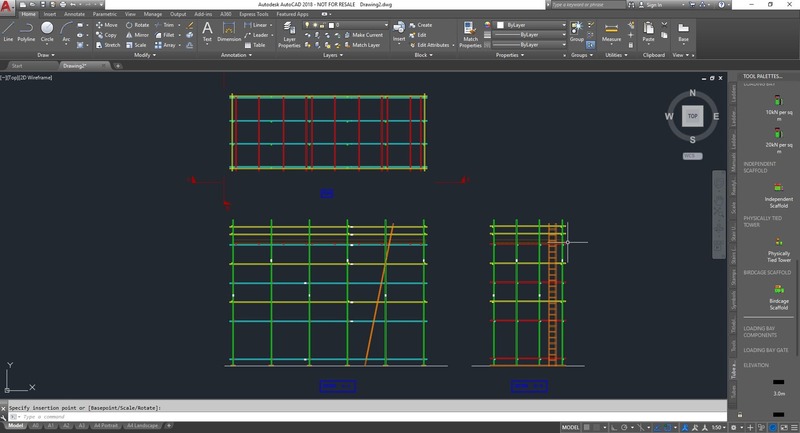 The SMART Scaffolder Draw IT Link works in conjunction with SMART Estimator, enabling the automatic creation and export of a dxf file. 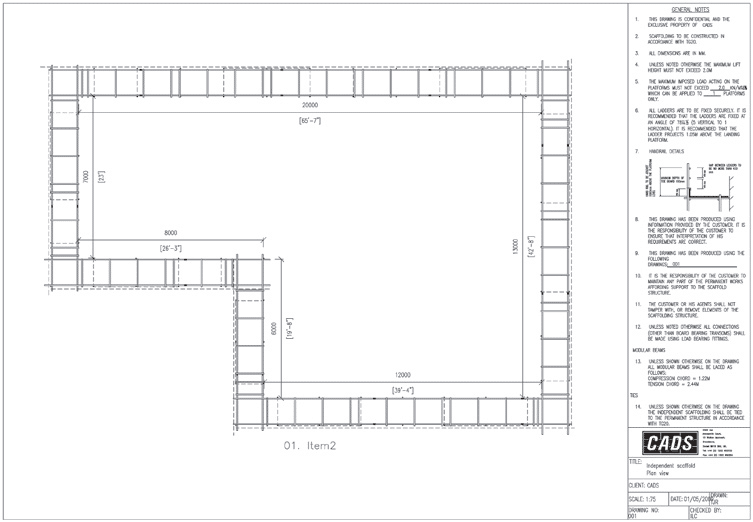 This file contains an AutoCAD readable drawing for each scaffold item in the estimate. You can supply this drawing file to an engineer, potentially reducing the design time required and the need for a site visit reducing fees and turnaround times for your clients. 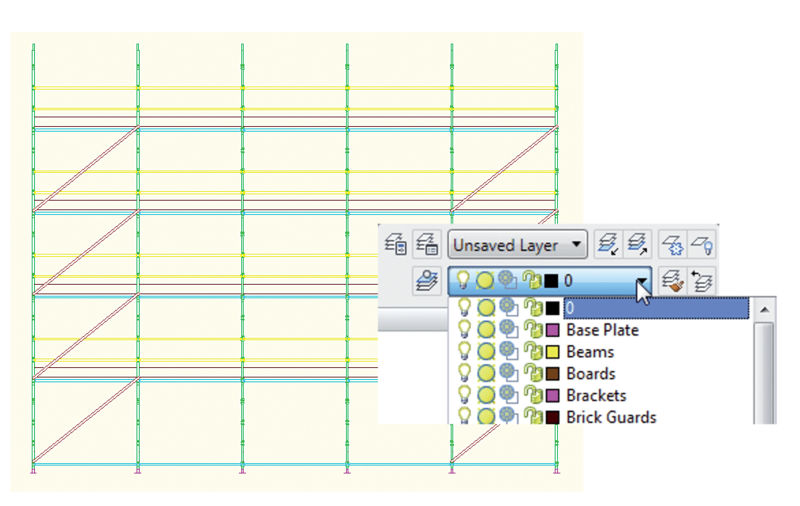 With SMART Scaffolder Draw IT you can amend the imported drawing to add a title block, notes, dimensions, symbols, etc. 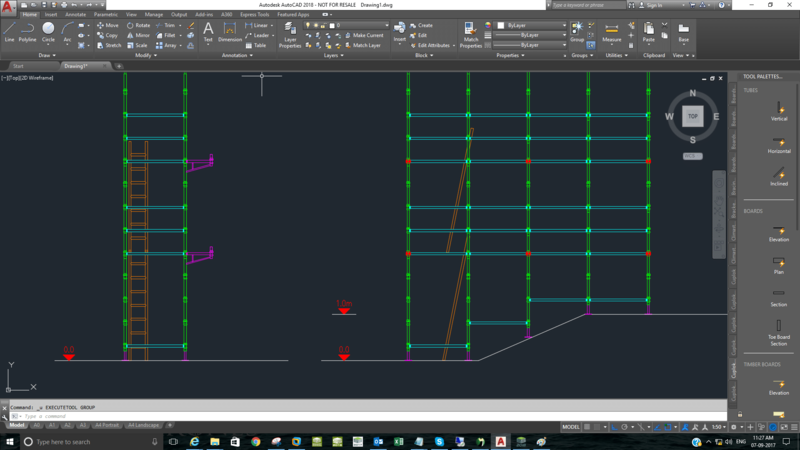 AutoCAD uses the term ‘layout’ to describe a drawing sheet. 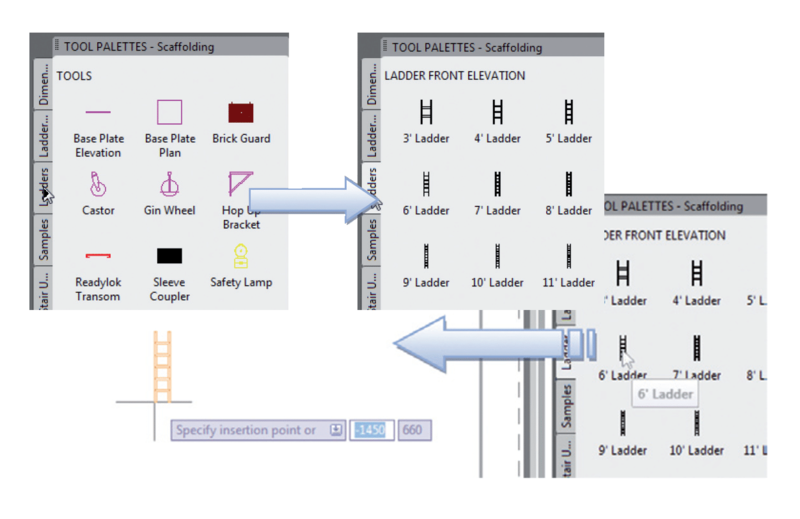 SMART Scaffolder Draw IT automatically sets up five layouts in A0 to A4 paper sizes, helping you to get started quickly. 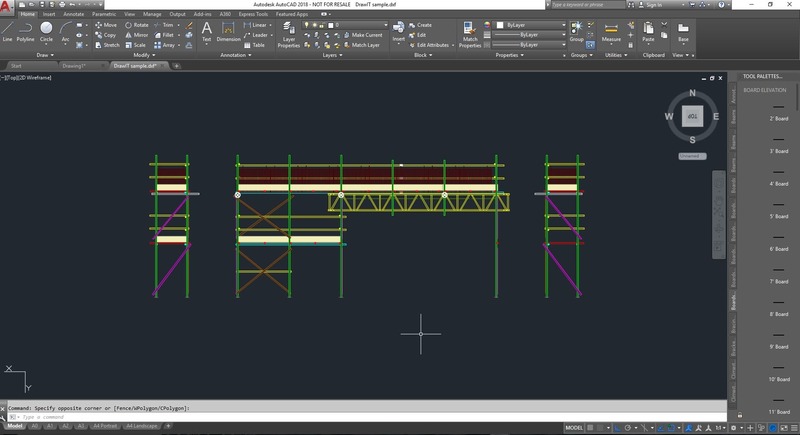 Draw ‘real world’ objects, such as scaffolding in AutoCAD’s Model Space, then use Paper Space to add annotations such as a title area for your company logo and job details. 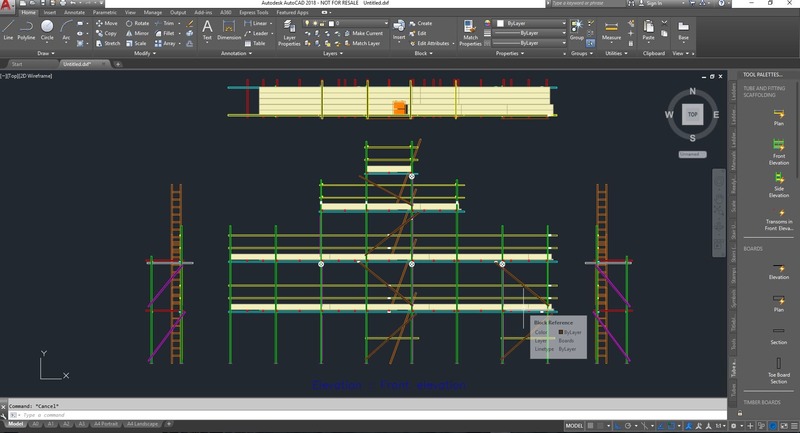 The AutoCAD tool palette allows you to drag and drop scaffolding components onto the drawing. Tabbed pages display base plates, ladders, brick guards, sleeve couplers, hop up brackets, castors, etc. 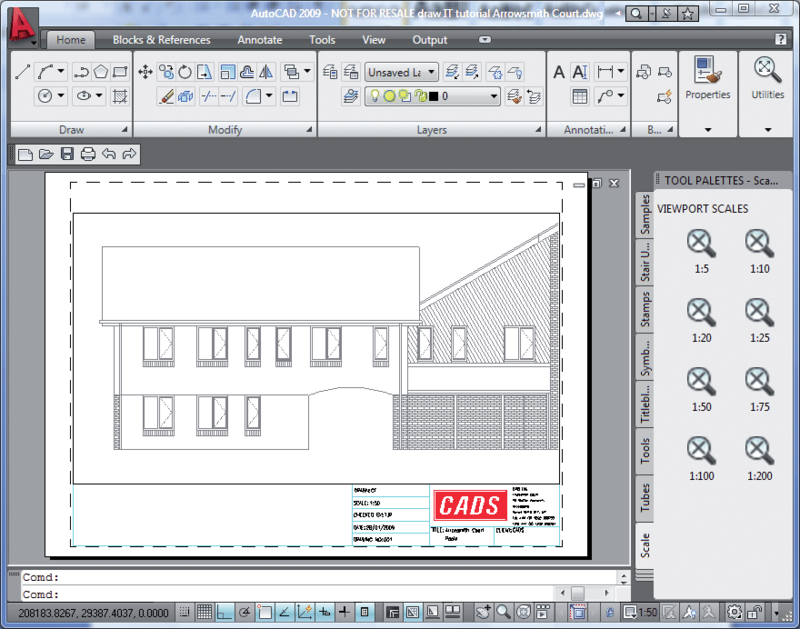 AutoCAD uses layers to make the drawing easier to view on screen. Each layer can be assigned a colour, a line style and given a name. SMART Scaffolder Draw IT provides a default set of layers, (e.g. base plate, beams, boards, brackets or brick guards). SMART Scaffolder Draw IT will print using black ink by default but can also print in colour. 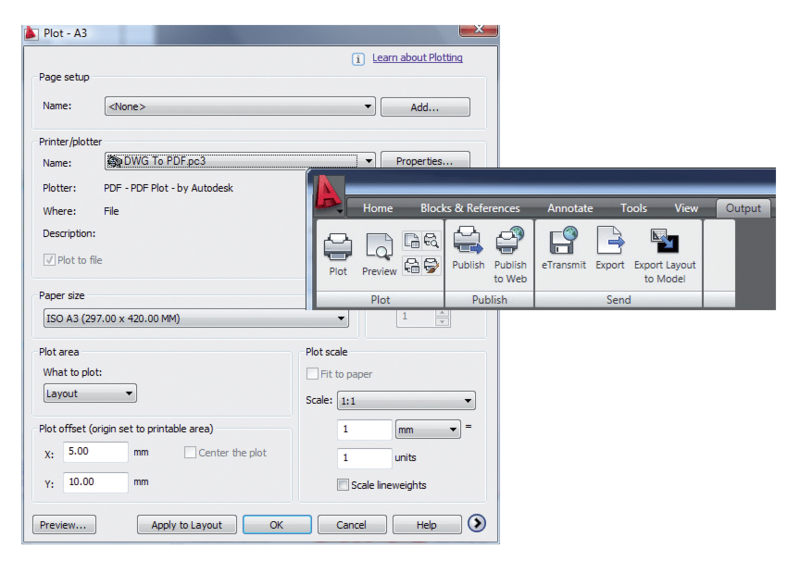 You can also output to DWF, DWG, DXF and PDF file formats to send electronically to customers with your quotations etc. 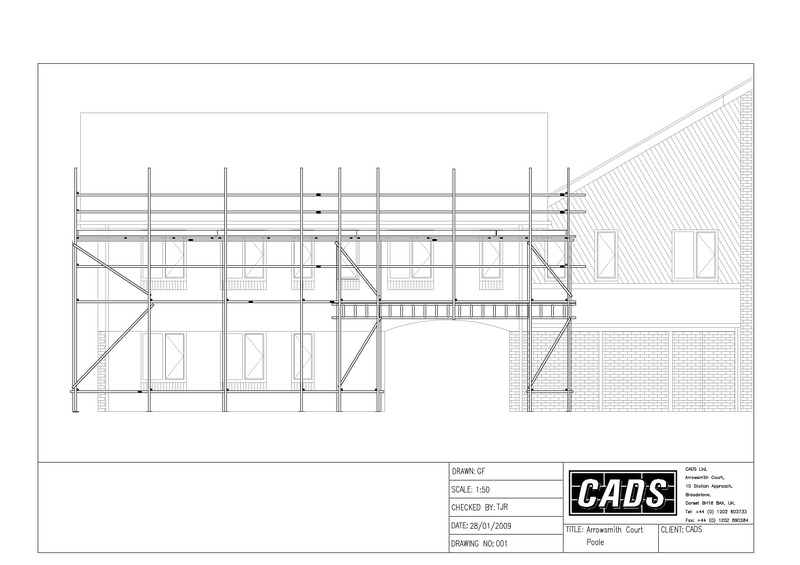 If you have existing plans of a building you can draw directly over them using SMART Scaffolder Draw IT which makes it simple to draw over the building using the Draw IT scaffold components, helping you to position your standards around obstructions and to place your lifts where required. SMART Scaffolder Draw IT is automatically set up to produce drawings at a scale of 1:50. This means that you can get started straight away producing elevation drawings on common paper sizes, usually A2 to A4. SMART Scaffolder Draw IT comes with a comprehensive user manual and a tutorial to introduce you to the AutoCAD basics and helping you draw a scaffold from scratch. Draw IT is also supplied with some sample drawings for different types of scaffolding, ready to drop into your drawing and edit.